Are you crazy about smoothies like we are ?! 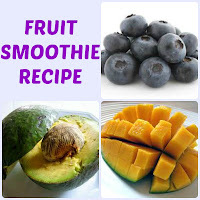 Here's a simple and easy fruit smoothie recipe using mango, blueberry, and avocado - it's great for breakfast or a mid-day snack. Let us know if you try it and how you like it. To subscribe to our channel, click HERE.